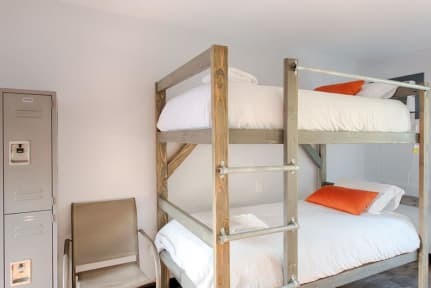 My Hawaii Hostel i Kailua-Kona, USA : Boka nu! We offer accommodation in female dorms, mixed dorms or private rooms. Guests have access to both the communal bathrooms as well as to self contained bathrooms. We provide free Wifi, and coffee/tea service. Dorms have in-room lockers for each guest so you can rest easy knowing that your valuables are safe while you are at the beach! We also have fans, air conditioning, comfortable bedding. 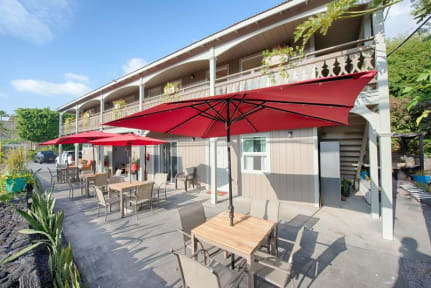 With its central location just three miles south of the heart of Kailua-Kona’s village and with easy access to many of the popular beach locations along the famed Ali’i Drive, My Hawaii Hostel is in a location that makes it easy for people to enjoy all that Kona has to offer! From My Hawaii Hostel it is possible to walk to restaurants, coffee shops, and beaches. But if you want to get further around town you can board public transportation just outside of our front door! Such an amazing hostel! So fresh and clean and you get so much for what you’re paying. Only minus we only had one night there.